Please contact us as on the International page of the website. Kiveton Park Steel is very happy to announce its participation at Automechanika Shanghai. Kiveton Park Steel was pleased to receive the Regional Winners award for Export Development at EEF Future Manufacturing Awards 2013 for the North East, Yorkshire & Humber held at Rudding Park, Harrogate, 04.11.13. All Regional Awards Winners will now go forward to the National Awards ceremony in London in January, 2014. We look forward to meeting both existing and prospective supply chain partners including potential agents / distributors to expand our global network of trading partners. Kiveton Park Steel are proud to announce that they were placed runner-up in "The Outstanding Export Award" category for the North East, Yorkshire and Humberside regions. 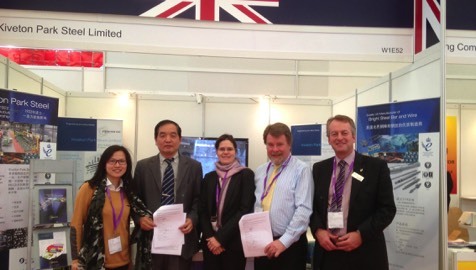 Kiveton Park Steel is exhibited within the SMT UK Pavilion at Automechanika Shanghai. Kiveton Park Steel is delighted to receive the prestigious Queen’s award for International Trade on the Queen’s birthday. This award has been granted to the company for demonstrating “outstanding achievement in international trade over 3 years ”. The award winners are chosen each year on advice of the Prime Minister who is advised by a committee including representatives of Government, industry and commerce, and trade unions. In the last few years, export activities have increased rapidly with current levels representing over 60% of total sales, initially to European markets but now extending into many deep sea destinations including Latin and South America, India and the Far East. The company is closely associated with the Global Automotive sector supplying quality products in supply chains leading to diesel injection, steering, engine and suspension parts and providing a full service package for a wide range of material specifications. 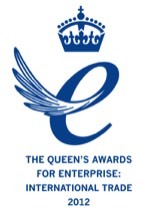 Kiveton Park steel is one of 156 companies recognised by the Queen’s Awards this year of which 20 are located in Yorkshire and only 7 in South Yorkshire. The company will be formally presented with the award at an event to be arranged on site involving all employees who have combined as a team to achieve this honour. Kiveton Park Steel Limited joins "Made in Sheffield"
Kiveton Park Steel Limited has joined the local network of businesses who are qualified and proud to include the “Made in Sheffield” logo on publicity materials confirming their long association with the internationally recognized product quality and manufacturing standards within the Sheffield City Region.